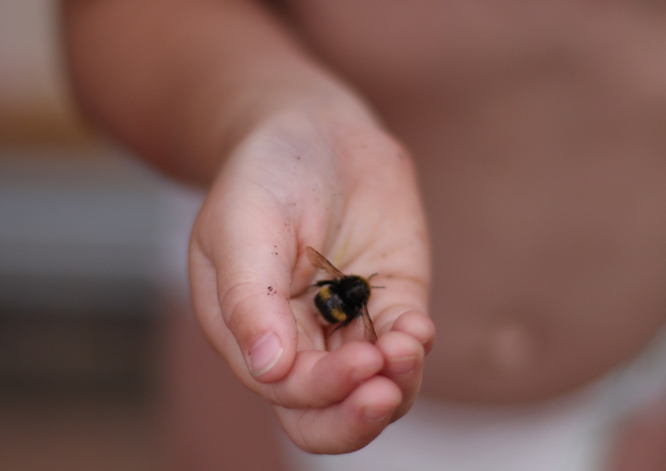 Henry: He found a bee and his face when he bought it in to show us was really the picture, but by the time I'd got the camera the delight in his eye was firmly focussed down inspecting his find... he did hold it out for me to take a photo though. Coco: She has a little crown on her forehead and sometimes it sends a few hairs off in a different direction. She was so pleased with Henry for finding his bee. 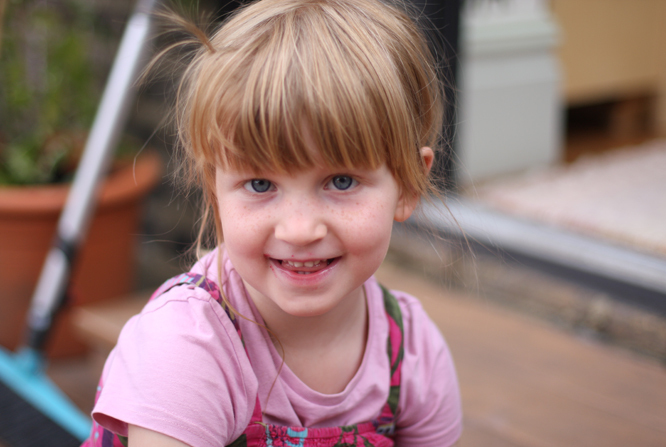 One portrait of each of my children every week in 2013. Woah. That one of Henry's hand and the bee is BEAUTIFUL. Friends of the Earth should use it as a poster campaign! Thanks Hattie! Your much more complimentary than Hugh who told me it would be better if the bee was in focus!